Stonehenge Calandar. 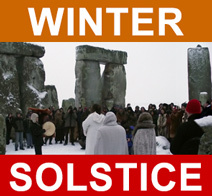 Summer and Winter Solstice celebrations. 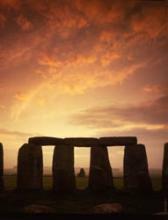 The white cloaked and hooded druids gather among the standing stones to celebrate the summer solstice at dawn. by tapping the heel stone while chanting “ARISES “O” SUN”, amidst the early morning dawn chorus of the birds. English Heritage provides Managed Open Access to Stonehenge for the Summer Solstice and works closely with the many agencies, and people from all sectors of the community, in order to create a peaceful occasion - ensuring an event that can be safely enjoyed by all and protects Stonehenge and its surrounding Monuments. Further details on the entry conditions are available from English Heritage. According to Webster’s New Collegiate Dictionary, it refers to one of two points when the sun is furthest from the celestial equator. In astronomy, either of the two points on the ecliptic that lie midway between the equinoxes (separated from them by an angular distance of 90°). To the ancients, it appeared as if the Sun and Moon stopped in their flight across the sky—this is the longest night of the year and was a time of both anticipation and rejoicing at the Sun’s rebirth out of the Goddess. 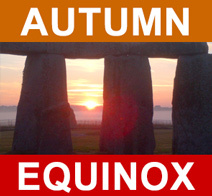 Why do the equinoxes not always occur on the same days each year? In fact it is only after a complete leap-year cycle of four centuries that these dates will be repeated. 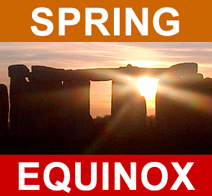 In the present century the times of the equinoxes have ranged between the latest dates - March 21 at 19h and September 24 at 06h (in 1903) - to the earliest dates - March 20 at 08h and September 22 at 17h (in 2000). 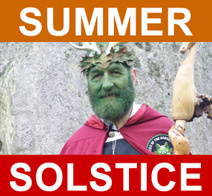 What is the difference between Midsummer Day and the summer solstice? Midsummer Day is June 24 (each year) and is one of the four Quarter Days in the Legal Calendar. The other Quarter Days are Lady Day (March 25), Michaelmas (29 September) and Christmas Day (25 December). The Summer Solstice is explained above.